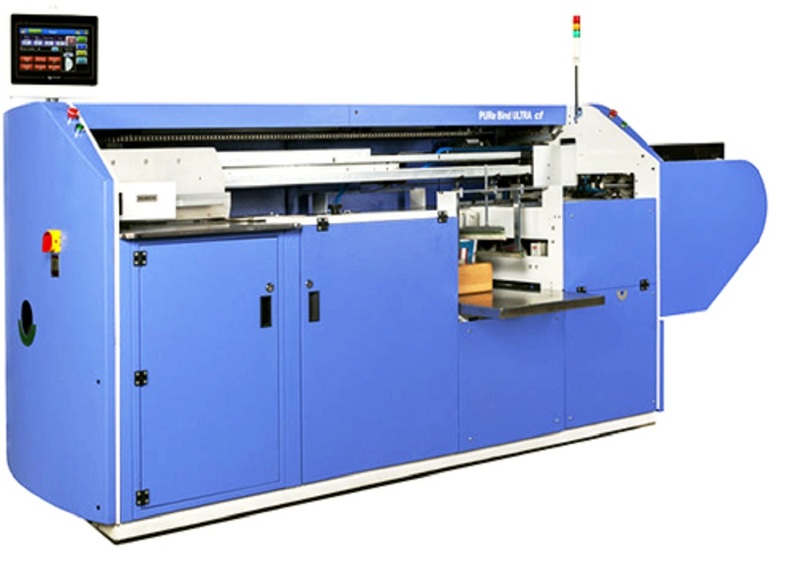 The PUReBind Ultra series of PUR binders further extend the functionality of PUR binders with online cover feeding and online creasing. Welbound makes PUR technology accessible. With application know-how from world leaders in adhesives Henkel®, the new generation PUR dispensers and applicators are being made available. A closed system with specially coated, twin-premelter, dispensing PUR through slot coater and separate side gluing for instant anchoring provide the best form of binding.